State Rep. Vanessa Lowery Brown, pictured above. 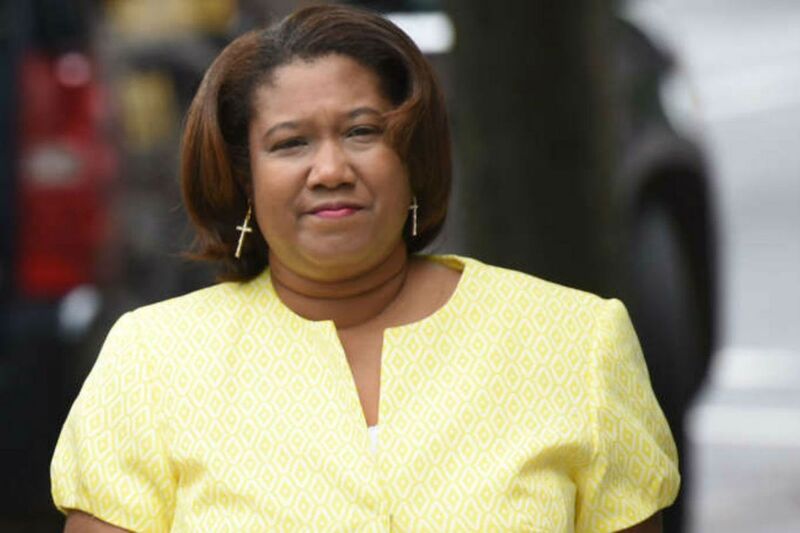 HARRISBURG — State Rep. Vanessa Lowery Brown resigned from office Tuesday, saying she was leaving public service “under protest” as she appeals her conviction on bribery and other charges. In her resignation letter, the Philadelphia Democrat highlighted the words of the Dauphin County judge who last month sentenced her to 23 months of probation, noting that he expressed concerns about the undercover sting investigation that led to her conviction and downfall. Nonetheless, Brown wrote, she recognizes that the state constitution prohibits anyone convicted of bribery, perjury, and other “infamous crimes” from serving in the legislature. “The court’s finding that the investigation and prosecution carried overtones of racism and political animus is only the first step in the ultimate vindication of my God-given and constitutional right to be treated fairly under the law," Brown, 52, wrote in her letter to Speaker Mike Turzai (R., Allegheny). She added: “Emboldened by the civil rights giants that have gone before me, and with the love and support of my family and friends, I live to fight another day against injustice and racism." Brown, who was reelected last month to another two-year term, had faced mounting pressure to leave office. Typically, public officials found guilty of corruption crimes step down on the day they are sentenced. Brown was sentenced Nov. 30 and had not since publicly explained her decision to remain in office. She had signaled that she would not seek to be seated in the House when lawmakers return to the Capitol on Jan. 1 to be sworn into office — after her Republican and Democratic colleagues said they would vote to prevent her from taking the oath of office. On Tuesday, House officials said Turzai would set a date early next year for a special election for Brown’s seat. The earliest date would be in March. Brown’s resignation followed a legal maneuver by prosecutors to force her out. Late last week, Dauphin County District Attorney Fran Chardo, whose office prosecuted Brown, asked her trial judge to amend the probationary sentence and require her to resign within 24 hours, and repay any salary or expense reimbursement she had received since being sentenced. Brown had not been paid for December, according to House officials.